Worried about viruses and phishing? 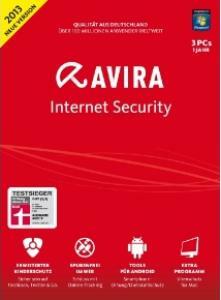 Bothered by spam?The antivirus module in Internet Security 2013 is now enhanced by the Avira Protection Cloud, which links the virus scanner to the very latest threat information. Antispam and an advanced phishing filter proactively blocks even the craftiest email scams and spam, while a two-way personal firewall ensures optimum data privacy and protection from hackers. Supervise your kids online while respecting their privacy. Internet Security includes enhanced web and social network parental controls that let you manage web use without having to look over your child’s shoulder. The popular Safe Browsing feature filters undesirable or malicious content and even allows you to set time limits on your kids’ surfing sessions. What’s new in Version 2013? Security ratings in your search results—know before you go! - Browser Tracking Blocker: Stops web trackers from recording your activities. This feature is part of the Avira SearchFree Toolbar (included). Install the program and activate it with one of the given license files.